[Non-UK buyers ... Purchase of several items together may result in an overcharge on shipping costs. This will always be refunded once the order is posted]. 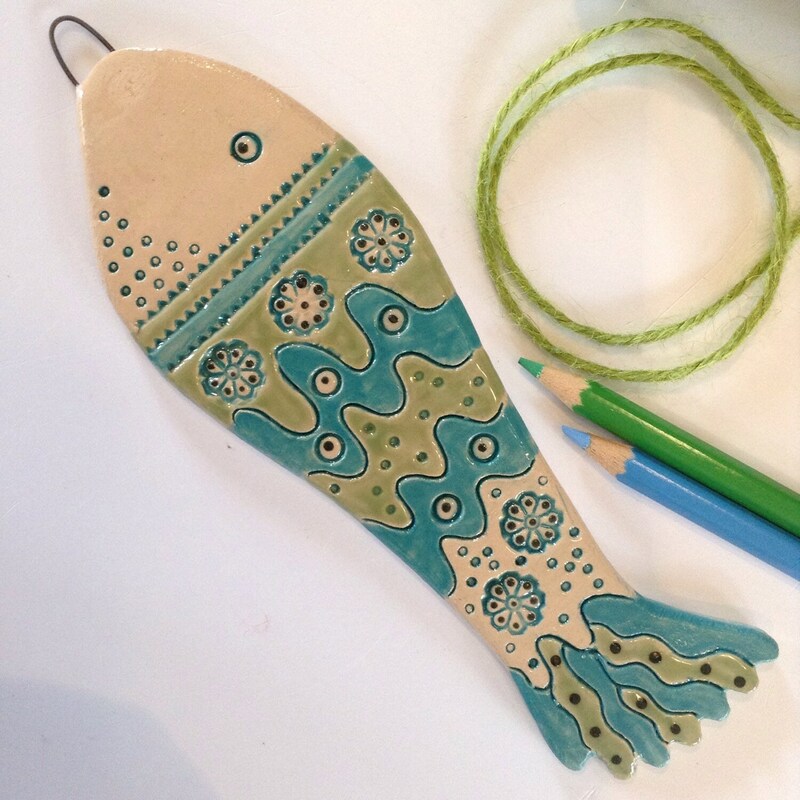 Decorative ceramic hanging fish. Highly patterned, intricate design, gorgeous colours. 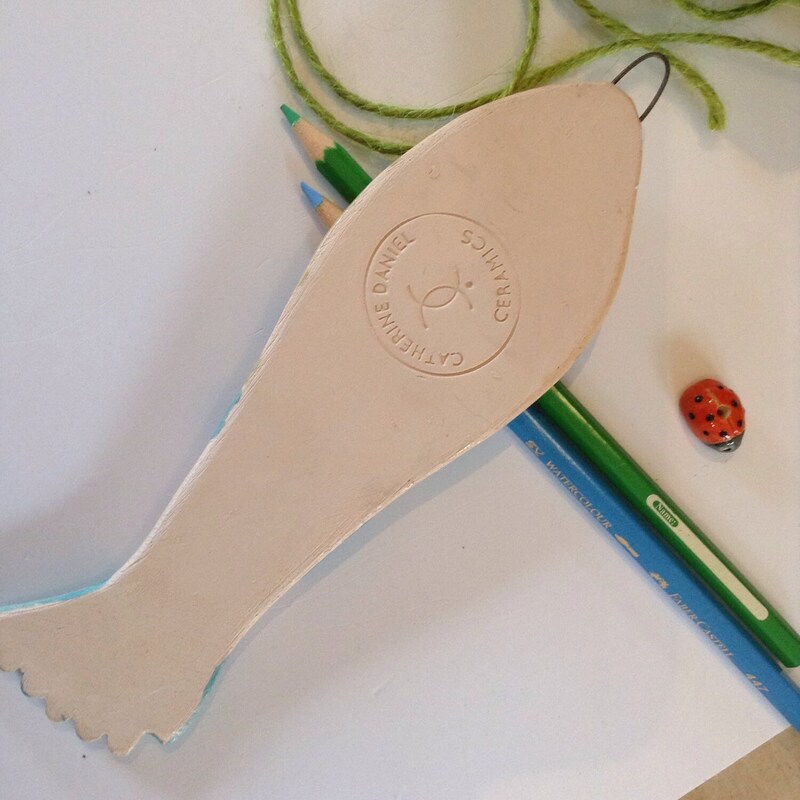 Each fish hangs by an integral wire hook, embedded into the piece. Would make a beautiful beach hut decoration, or accent for a bathroom, or coastal retreat. NOT glazed underneath and therefore not waterproof. Measures between 18 and 19cm long and 5.5cm wide at widest point, excluding hanger. 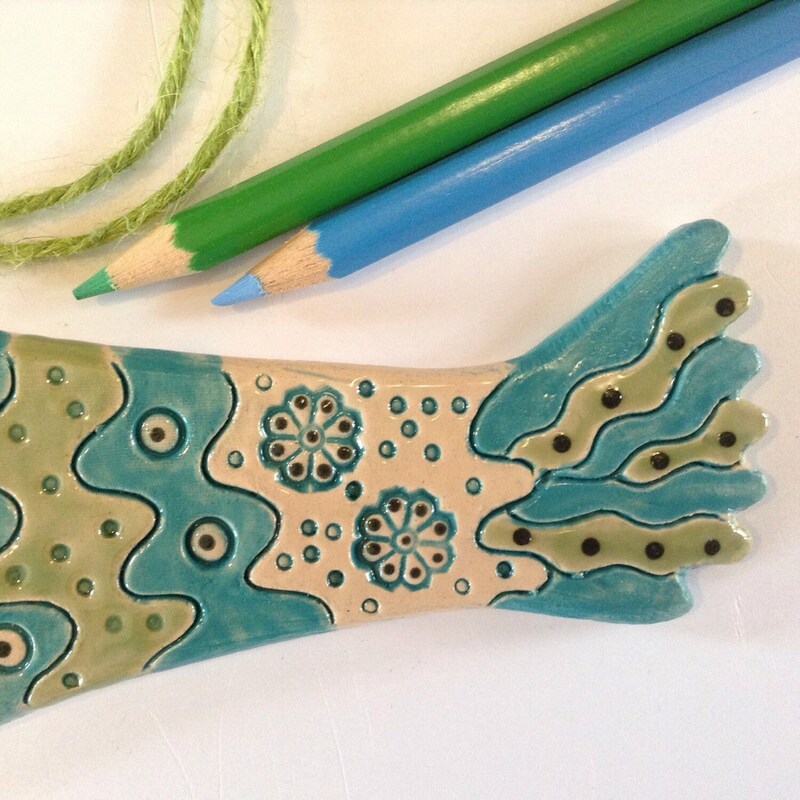 I cut the shape from a slab of earthenware clay and impress the patterns into the wet clay by hand. 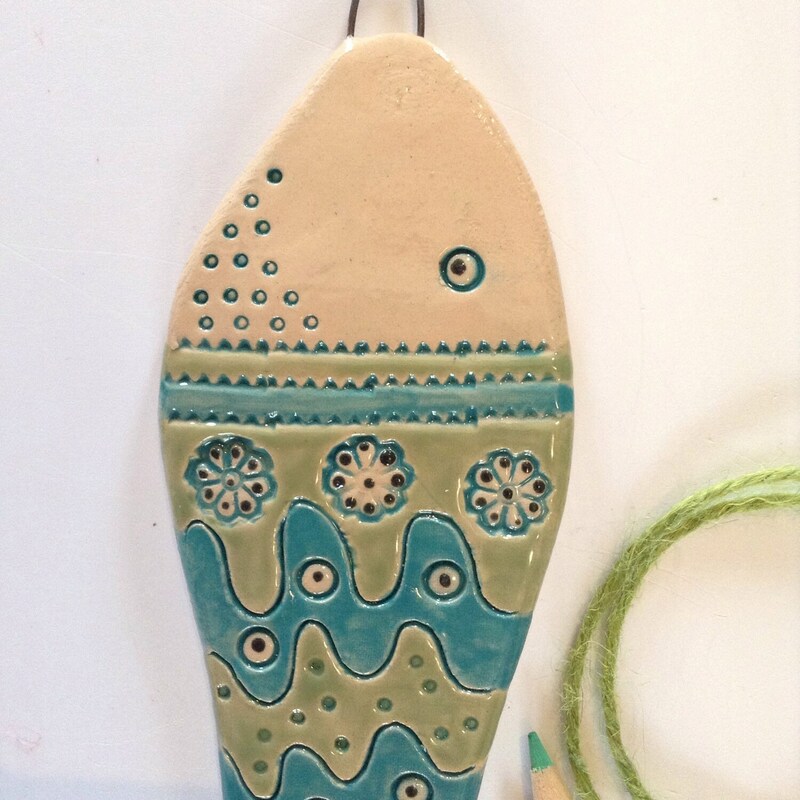 Once dried out, they are bisque fired in my kiln and then I apply the coloured glazes and oxides. They then need to be fired a second time. They each have my potter's mark on the back.